The Newest Rant: Reviews of Three Graphic Novels That Were Originally Released in Varying Ways. Reviews of Three Graphic Novels That Were Originally Released in Varying Ways. Today I wanted to review three separate graphic novels (two trade paperbacks and one hardcover) that all originally were released in interestingly different ways. 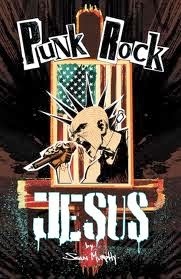 The first book I'll discuss is Sean Murphy's "Punk Rock Jesus", which was originally released over six print issues through DC's more adult-oriented Vertigo line. Murphy is a talented illustrator and has been doing a great job as the artist on "The Wake" with Scott Snyder as the writer. 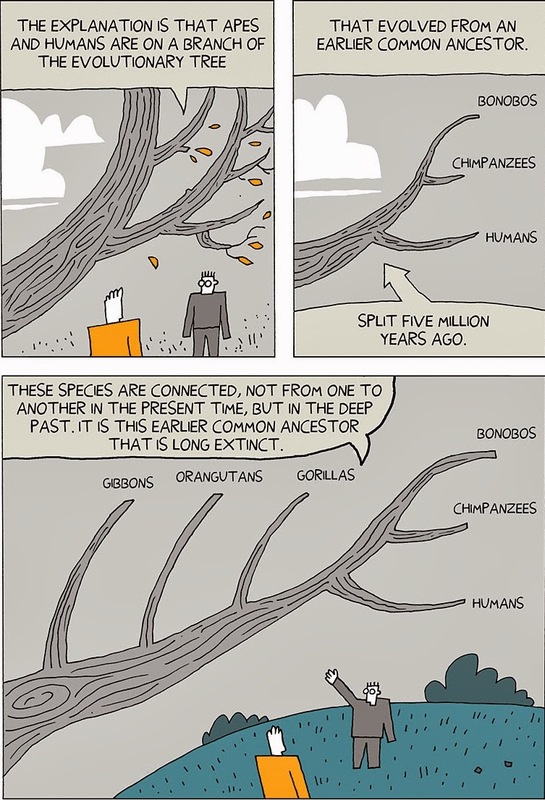 Murphy wrote and illustrated this series, and it is very interesting. 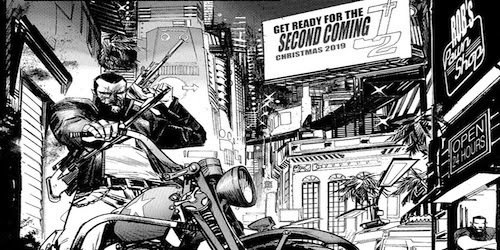 It has quite the non-corporate feel between the black-and-white-styled art and the controversial subject of what it would be like if a corporation attempted to make a clone of Jesus, then made him the star of a reality show that chronicled his life. The book has many questions about religion, if the child is even truly a clone of Jesus, and just what it means to believe in something--be it a heavenly-father, science, or the (hopeful) innate goodness of human-beings. Throughout the series it is clear the company behind the cloning of Jesus (OPHIS) and its head, Rick Slate, is only interested in making a money and doesn't care who has to get hurt in the process, and all kinds of conspiracies and trouble forms, with only our various protagonists, Dr. Sarah Epstein (the main scientist behind the cloning), Thomas McKael (the head of security with a violent background) and Christ/"Chris" himself serving as the counters to Slate and OPHIS' evil motivations. As I mentioned, Murphy's drawing style is abstract yet detailed at the same time (if that makes any sense), with his characters drawn beautifully and the near-future world looking familiar-enough to seem possible but with clear signs of great technological advancement. I quite enjoyed this book, and even with its older-school way of being released in single issues and then collected, it still has a cutting-edge feel with its focus on issues that continue to inspire much fighting and arguments today. I'd definitely recommend checking this out. Now we have "Edison Rex: Into the White!" Written by Chris Robserson and Illustrated by Dennis Culver, this is the first volume of a series that had first been released digitally through Monkeybrain comics (and still has even newer issues coming out). Monkeybrain is an entity launched in the Summer of 2012 by Chris Roberson--who, fun fact, had been writing comics for DC and Vertigo before some...unpleasantness--and Allison Baker (Roberson's spouse and business partner). Monkeybrain has put out a lot of good stuff, but the work I'm most familiar with is Edison Rex as it had me quite interested when I heard its concept. Starting out as a sort-of musing on the, "What if Lex Luthor was really able to kill Superman?" it takes that concept and runs with it in some very interesting directions. 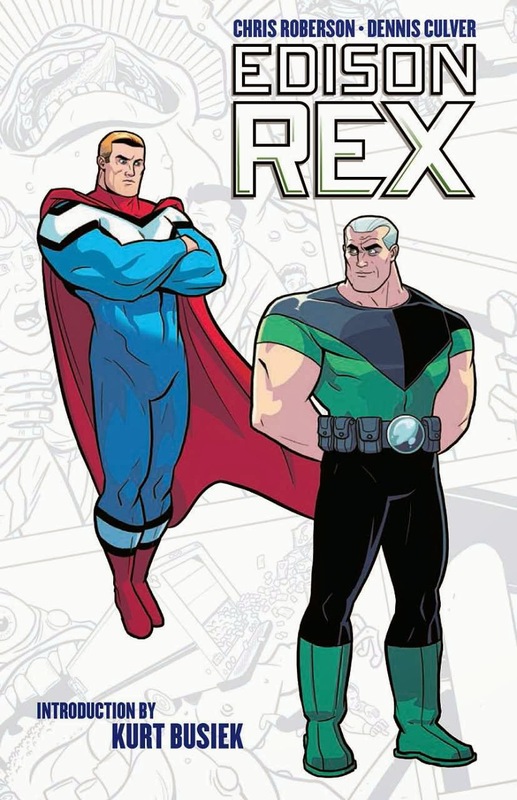 Edison Rex convinces his arch-nemesis, Valiant, that he poses a very real threat to the world and after Valiant dies Rex realizes it really is up to him to protect the earth. "Edison Rex" has originally been released as 99-cent digital issues through Monkeybrain and this trade collects the first six chapters/issues. It's well illustrated with a clean style by Dennis Culver and both action-packed and quite funny. 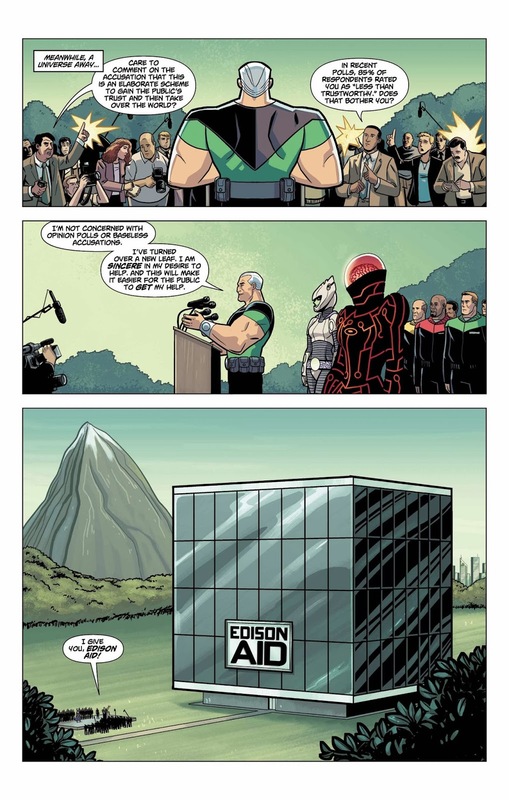 I wouldn't say this is a joke-comic, but it definitely is loaded with humorous elements that make fun of comic-tropes while also playfully engaging in them. This is a stellar book loaded with neat extras too, and if you enjoy heroics but wouldn't mind them being a little more self-aware at their absurdity, pick this up (or download it, if you prefer)! 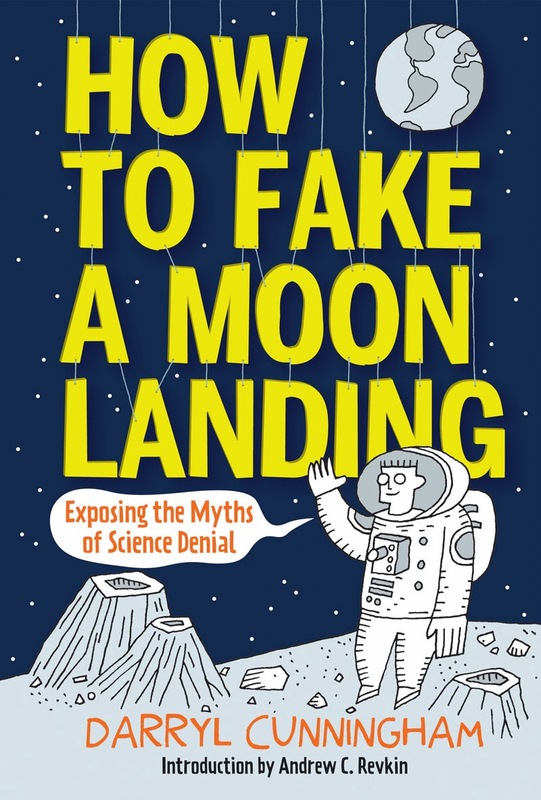 Lastly we now have Darryl Cunningham's "How to Fake a Moon Landing: Exploring the Myths of Science Denial". It collects his various info-comics he has posted for free viewing online where he takes to task those who would try to claim we didn't land on the moon, that evolution isn't real, or other absurd stuff that despite all the proof to the contrary people choose to believe (There also is a print-exclusive comic about Hydro-Fracking and the potential hazards it poses). Lot's of Cunningham's stuff can be found around the web or on his own site as he does all of this independently of a big publisher or such (although he does team with them to put out books of his work), but "Moon Landing" as I will call it for short, is a stellar collection for those who want to have a bunch of his great works within one beautifully done package. Cunningham has a very methodological approach to each of his articles, taking the arguments of science deniers and breaking their claims apart piece by piece--of course, as the opening of the book encourages you to do, feel free to disagree with him! Science is all about taking past evidence and seeing if you can prove it wrong--the very thing Cunningham doesn't like about science denial is that goes against all clear evidence and proof that is contrary to what is believed by its followers. "Moon Landing" is very interesting and taught me a fair amount of things (I didn't know Chiropractors had basically no medical basis for their work) and is without question very interesting. You should really look up some of his stuff on the web and if you like it get a copy of this book. There are many ways a comic can come out, as is seen by the original manner of release of these three books. While they all ended up as a trade paperback or hardcover, they each started life in a very different way. Be they released serially in print by a big corporation's smaller imprint, sold digitally by a growing online-comics company, or just created and released independently at first, all are quality pieces of work. I like to think these three books show how there are many ways comics can be produced and released, with this trio only representing a few options out of many others (Kickstarter-backed comics, to give one example of a fast-growing movement)! I am also pleased that no matter how comics came out in the past, come out today, and will come out in the future, that at least one thing we can count on is there will surely be plenty of good stuff to enjoy.